If you need an insurance bad faith lawyer, contact Simpson Law Group at 619-236-9696 in San Diego County. Our bad faith attorneys know how to navigate California courts. Fight for the Compensation You Deserve! People buy insurance policies to help them through difficult times. When a fire or earthquake destroys a home, when disaster strikes a business, when an individual is diagnosed with a serious illness or severely injured and need long-term care, people depend on the insurance company to be there. However, that’s not the case when insurance companies fail to live up to the terms of their policies. When insurance companies unreasonably deny claims or delay payment policyholders suffer. The San Diego based lawyers of Simpson Law Group have fought for the rights of policyholders in disputes involving unfair insurance claim denials , unreasonable policy cancellation , failure to defend and other examples of insurance bad faith. Our attorneys have experience in disability, health, life, long-term care, and business insurance matters. 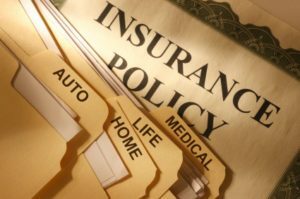 If you or a loved one has suffered from a bad faith insurance denial contact Simpson Law Group for a free case evaluation.